When you exhibit at a trade show, you put out a lot of time, effort and money, so it’s important to maximize that investment. Regardless of whether you have a generous trade show budget or a lean one, Baker Graphics has lots of options to create attention that lasts long after the show. It doesn’t have to be expensive, but it does have to be clever, creative and memorable. 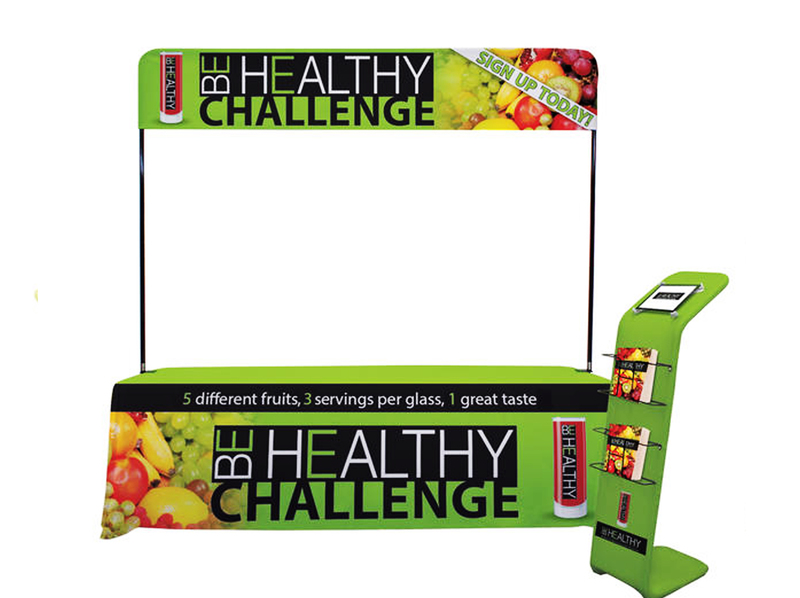 Baker Graphics offers a number of exciting display types to help you create a one-of-a-kind booth. From full size pop-up booths to smaller scale table-top displays, and all the accessories in between, we have the items to suit your needs. Trade floor model pop up booths have been around for a long time. They use an expandable accordion frame structure, usually made from aluminum. This frame collapses into about a 20" square, approx 30" tall. When expanded, the frame literally “pops up” into place, hence the name “Pop Up Display”. Our pop up displays offer traditional “carpet” or roll-able graphic panels; which allows the graphics to be velcroed to the panels. They are also now available with dye sub fabric graphics. 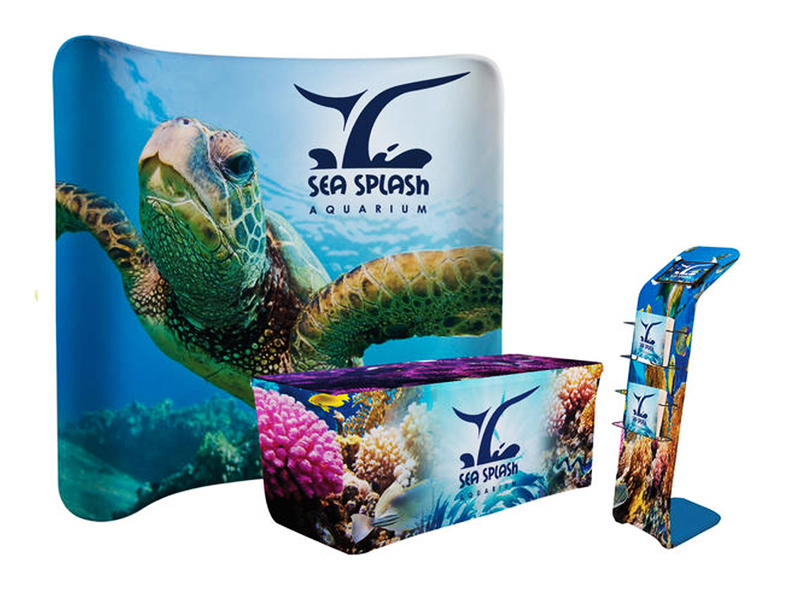 Pop up trade show displays are available in 6ft, 8ft, 10ft, and 20ft widths, normally 8ft tall, to fit almost every trade show booth size requirement. In these different widths, pop up booths are offered in a concave curve, a flat shape, a gull wing shape, and also as a serpentine or “S” shape. Some designs, particularly the flat floor height flat designs, offer side wall returns too. Comes complete with shipping cases, that are often ordered with case wraps, covering them with either a fabric wrap or a printed graphic, to convert the shipping case into a podium to be used at your show. Table-top displays are easier to assemble and transport than full-size pieces, plus they are right at the eye level of most visitors. These units are designed to fit your budget and provide economical starting places for new businesses. Whether you are at an indoor or outdoor event, your goal is to look professional and get people to enter your booth. Our event tents will capture your customer's attention and draw them into your booth. A pop-up event tent or canopy tent is a structure normally built from an accordion frame, which collapses down to a portable size. Normal sizes for event tents are 10ft x 10ft; there are a few smaller sizes available, and also some larger sizes. We offer 10×10, 10×15, and 10×20 event tents. Custom screenprinted names and logos are available. If you have wall space available behind your table or booth, take advantage of it! 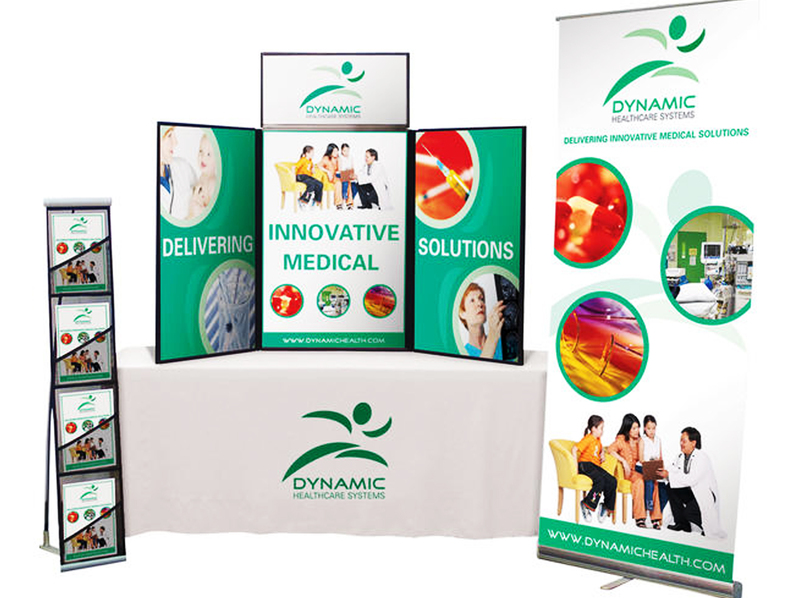 Custom banners or posters can help your booth look sharp and attract attention. 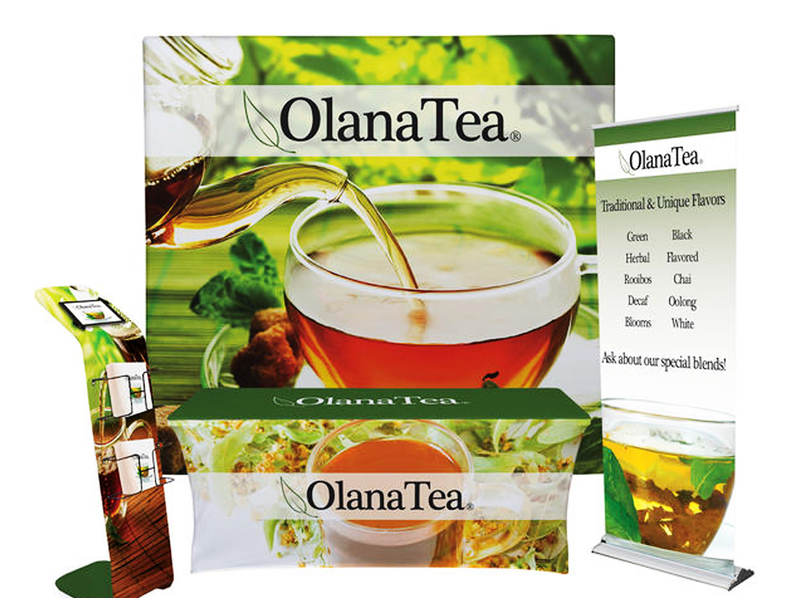 Let us help you design an attractive, attention grabbing banner or poster for your booth! 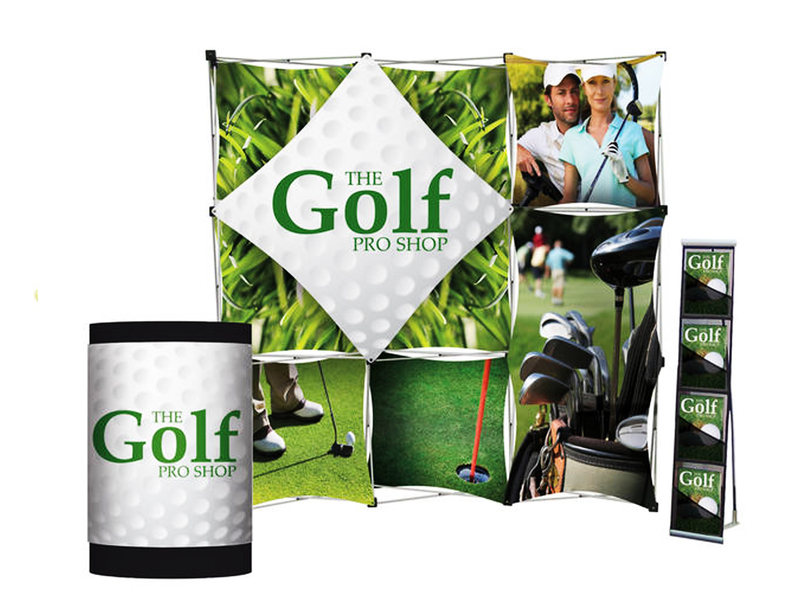 When you’re planning your trade show display, you want to make sure every aspect fits the theme and look of the space. That includes your trade show table covers and table runners– advertising space is at a premium in trade show booths, especially the smaller shows, so take advantage of all of your available advertising space. This means, don’t settle with a dull black or white, boring table cloth! 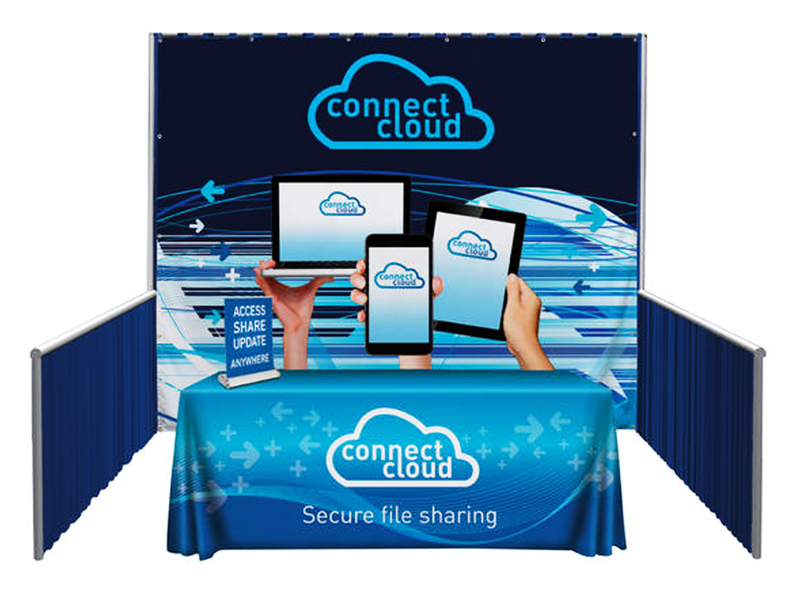 Instead, use a trade show table cover to synchronize with the rest of your displays, display your company color and logos, and highlight the products that you want to promote. Literature displays, tents, lighting features and other elements can all be an important part of creating your ideal display also. Contact us to learn more about what we can do for you.